Check out these 52 image playing cards from the movie Ouija. 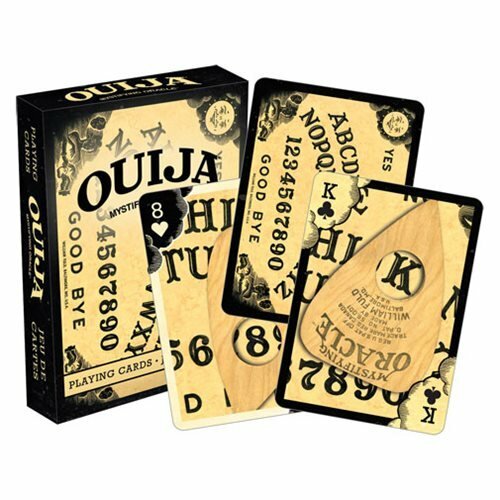 The Ouija Playing Cards measure approximately 2 1/2-inches x 3 1/2-inches and have a linen type finish on them. Perfect for fans and players alike.